All of the physiotherapists that work at North Hill Physiotherapy are members of the Alberta College of Physiotherapists and the Canadian Physiotherapy Association. Mary is the owner of North Hill Physiotherapy. Mary graduated with her degree in Physiotherapy at the University of British Columbia in 1992. She graduated with distinction with a Bachelor of Science in Psychology at the University of Victoria in 1989. On her personal time she enjoys dragon boating, hiking, and reading. 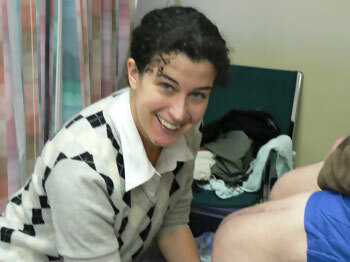 Carolyn is a graduate from the University of Manitoba Medical Rehabilitation program in Physiotherapy. She also holds a degree in Physical Education. She is a Level 3 manual therapist and uses skills obtained through various continuing education courses to provide a variety of treatment techniques. She enjoys treating a wide array of clients from children to seniors, athletes to weekend warriors. She draws from her experience as a collegiate athlete, Canada Games participant, and avid hiker to provide an enthusiastic treatment approach focusing on optimal functional return. Jacquie graduated from the University of Alberta with a Bachelor of Science in Physical Therapy and has worked in a variety of settings including hospitals and private practice. She has completed many post-graduate courses including manual therapy, acupuncture, and special interest courses related to orthopedics. When time permits, this busy mother of three children enjoys swimming, biking and spending time outdoors with friends and family. Asha graduated with a Master of Science in Physical Therapy from the University of Alberta. She has also completed a Bachelor in Kinesiology from the University of Victoria. She has completed a post-graduate course in Dry Needling and plans to further her training in manual therapy. Outside of work, Asha enjoys spending time outdoors hiking and playing Ultimate Frisbee.